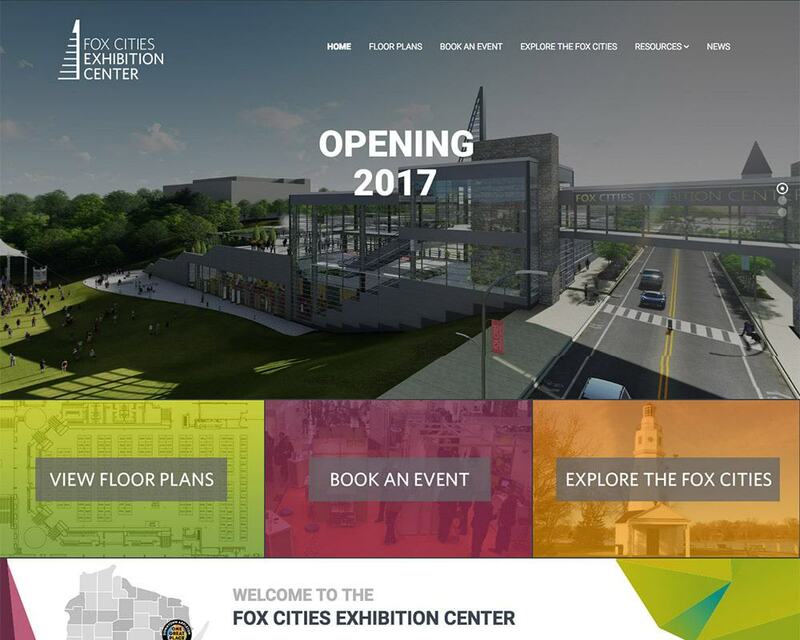 The B2 Web Studios team is excited to announce the official launch of the website for booking events and promoting the new Fox Cities Exhibition Center, which is scheduled to open next fall in Downtown Appleton. The new responsive website, available at https://fcexhibitioncenter.com, was built using WordPress and a custom mobile-friendly theme. It allows meeting and event planners to book events online and look at floor plans for the exhibition center and the adjoining Radisson Paper Valley Hotel. It will also have updates on the building’s construction, and a link to Miron Construction’s VERY cool live construction web camera! The logo was created by our great friends at A2Z Design, also located in downtown Appleton. The logo was inspired by the 82-foot lighted spire that’s a signature piece of the exhibition center’s design, and the colors are meant to reflect the natural hues of the building and its park-like setting. A ceremonial groundbreaking for the new Fox Cities Exhibition Center was held in September 2016. The exhibition center will have 30,000 square feet facility, plus another 17,000 square feet of outdoor space incorporated with Jones Park. Discussions about an exhibition and meeting center for the Fox Cities started nearly 30 years ago. Ten municipalities reached an agreement to fund the project with a 3 percent hotel room tax. The City of Appleton will put $4 million into the project, including road construction, and it will own the facility, which will be managed by the Radisson Paper Valley Hotel. B2 Web Studios is back in black! 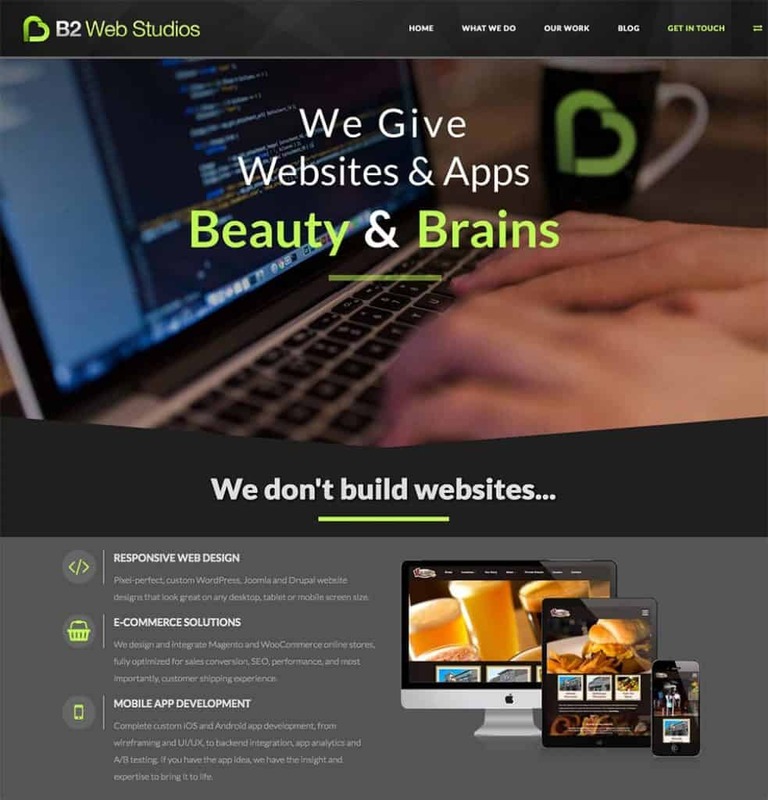 Our team is super excited to announce the official unveiling of the new and refreshed B2 Web Studios branding and website design. The updated website features a bold new design and color scheme, ushering in a new era as B2 Web Studios as an established leader in web, mobile, and digital marketing throughout Wisconsin and the midwest. As part of the re-design, we made significant updates to the layout and navigation for both the mobile and desktop versions of the new B2WebStudios.com, and also migrated to WordPress Content Management System, migrating away from the Joomla backend we’ve been using for the last several years. We’ve also improved the structure and readability of our content, so you can easily find the information you’re looking for. Besides these, there’s a bunch of smaller but impactful changes, all to make your experience of the adjust site that much better for you. When we began the process of re-branding and overhauling our website, the main goal was to improve the experience for our clients and visitors to our website. So, we’ve added live chat, deeper integration with Zendesk, our amazing support ticket system, and improved capabilities for communicating with our clients about updates, outages, and other important messages. You’ll see additional features and functionality start rolling out within the next few weeks. We hope you like the changes we’ve made, and would love to hear your feedback on our new look. Please let us know on Facebook or Twitter. B2 just launched the new ActivFit Bakery website! B2 Web Studios is thrilled to announce the launch of a new website for ActivFit Bakery, a brand-new product line of sprouted grain bread and buns by Quaker Bakery Brands, Inc. in Appleton, Wisconsin. 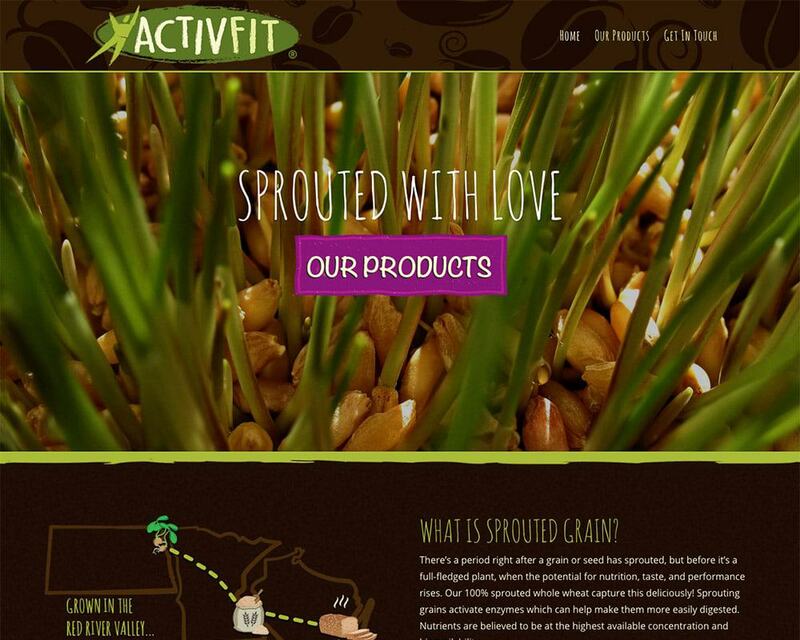 The new responsive website for ActivFit Bakery was built to showcase their products, and to educate consumers on the health benefits of the sprouted grains used in their breads and buns. We designed the website to match their product packaging, using custom WordPress theme based on the amazing Divi framework.